Once in a lifetime we might witness a scientific event so rare and revolutionary that it changes our lives forever. Imagine awakening on the day in history when we learned that the Earth is round, not flat; or awakening on the day we learned that the planets orbit the Sun, not the Earth. Now, imagine awakening tomorrow to learn that Einstein's theory of relativity is wrong! * Where Einstein makes several mistakes that invalidate relativity theory and why these mistakes were not previously found. * Why Modern Mechanics is a unified model that is more accurate than relativity theory. * How Einstein’s theory can be wrong and still provide useful – but no longer the most accurate – answers. * How Modern Mechanics is one theory that explains experiments that previously required three: classical mechanics, relativity theory, and quantum mechanics. * How Modern Mechanics supports faster–than–light travel and communication. 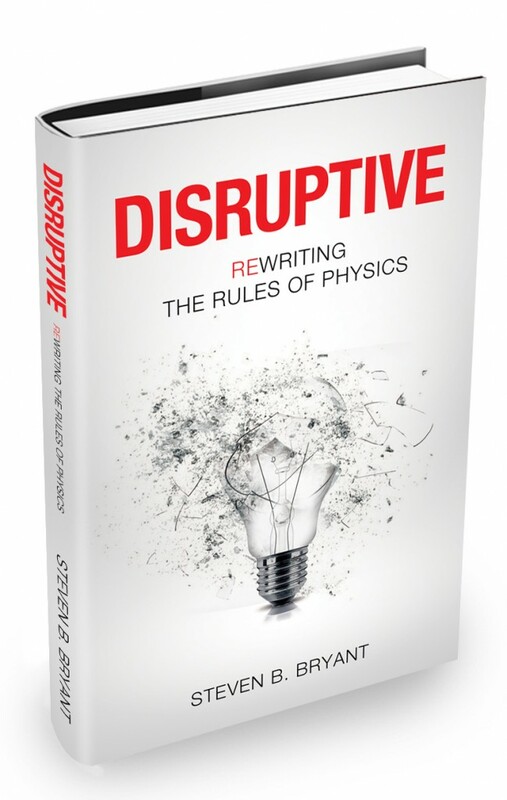 Disruptive is a thought–provoking book that will fundamentally transform our understanding of physics, forever changing the way we view space and time. Buy Now at Barnes & Noble!